We are making excellent progress in our goal to reduce health disparities and improve the health of vulnerable populations – first here in Stamford’s West Side community and eventually, throughout our city. 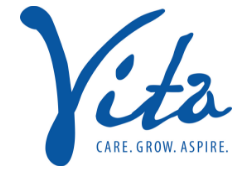 The unique Vita partnership (Charter Oak Communities, Stamford Hospital and the City of Stamford) has brought together more than a dozen community service agencies to coordinate and improve access to healthcare. Our first priority is reducing health disparities. Addressing the social determinants of health – including access to health care, healthy, affordable housing, availability of nutritious food, safety in the community and workforce training – we will improve health, reduce the chronic disease burden and lower excessive spending resulting from the inefficient delivery of medical services. We are working with Stamford Hospital to develop an action plan in response to priorities identified in the 2013 Community Health Needs Assessment. Together we are building and strengthening provider relationships and working across clinical and political domains to address the long-term requirements of chronic disease prevention. We’re collaborating on a variety of hands-on, health improvement programs involving nutrition and fitness to engage community members in taking personal responsibility for their health and well-being. Residents of the West Side now have a walk-in medical clinic where they can get onsite care for common medical problems. The Fairgate Community Health Center, operated by Optimus – a Federally Qualified Health Center – provides physical exams, vaccinations, diagnostic tests and other services for patients of all ages, pediatric through the senior years. Right next door, Cornerstone Pharmacy offers attentive, specialized pharmacy services including for people with complicated health challenges. We hold regular forums and monthly meetings to keep the neighborhood up-to-date on available resources, new initiatives and outcomes. The West Side NRZ meetings provide a platform for community service agencies to present and promote their health care services to community residents. We disseminate information on accessing health insurance and free- and low-cost medical care. We’ve hosted presentations from a variety of service agencies, including Optimus, AmeriCares Free Clinics, Neighbors Link and the Stamford Health Department.